The California Winter League’s greatest value to professional free agents is the opportunity it provides to been seen and signed even if the traditional method of entry to the pros — the MLB Draft — didn’t work out. 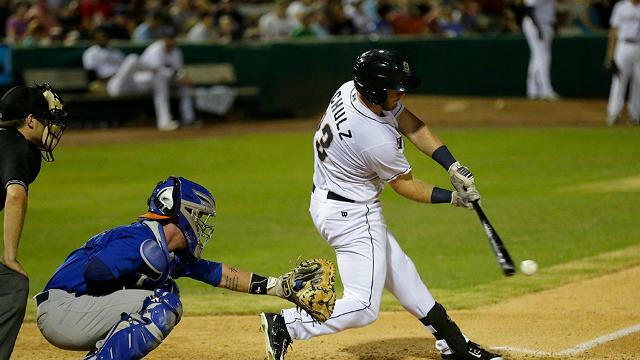 2014 CWL outfielder Nick Schulz is the perfect example of taking advantage of that opportunity. Schulz graduated from San Jose State University in 2013 and posted a .276 batting average with a .990 fielding percentage over his four-year collegiate career. Like many successful college seniors, he was hoping to get picked up by an MLB club in the upcoming player draft. Unfortunately, that was not the case. Instead of giving up after getting overlooked in the draft, Schulz stayed hungry and sought out the California Winter League. He joined the 2014 campaign and played for the Oregon Jacks where he batted .465 with three homers and 12 RBI over the 23-game showcase league season. Schulz’s success at the CWL caught the eye of hitting instructor Kenny Barton, who worked with the outfielder to improve his batting technique. Barton then reached out to scouts to gauge if there was any interest in the then 21-year-old Schulz. The Padres showed the most interest and invited him to come to Lake Elsinore to take batting practice. Those with the organization liked what they saw and sent him to Arizona where he signed a contract. 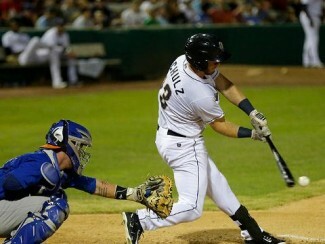 Schulz hit the ground running, batting .341 with eight homers and 30 RBI for the Fort Wayne TinCaps (Class-A San Diego), earning Player of the Month honors in the process. He worked his way up the system and finds himself at Double-A San Antonio, where he is currently batting .282 with 10 homers and 50 RBI. The CWL wishes Schulz continued success and hopes to see more professional free agents find professional opportunities in the 2017 CWL season and beyond. For more information on joining the 2017 CWL season, you can call GM Pete Wagoner at (760)778-4487 or e-mail him at pwagoner@californiawinterleague.com.